The island has many mountain villages because, in the olden days, people built their homes high above the mountains so as to be able to see, well in advance, and thus avoid pirate raids. 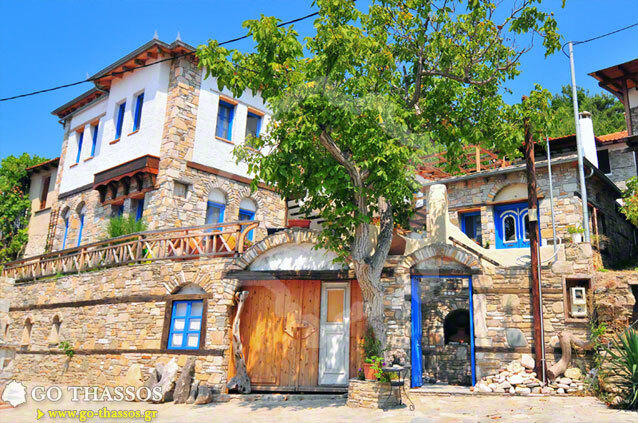 Thus most villages are perched on the slopes of the mountains, surrounded by pine trees and providing wonderful views to the Aegean sea. Visitors wishing to explore our many examples of these traditional and beautiful mountain villages absolutely should go to Kazaviti. 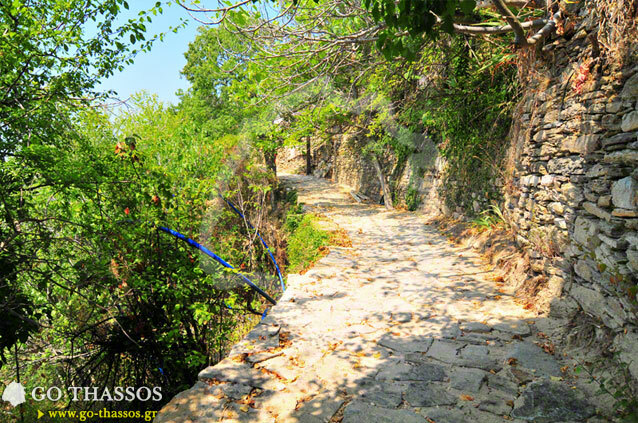 To get there, one must pass first through the town of Prinos, continuing up the winding paved road. You will encounter the first village, Mikro Kazaviti (Small Kazaviti), at the end of a narrow valley, nestled into the hills. 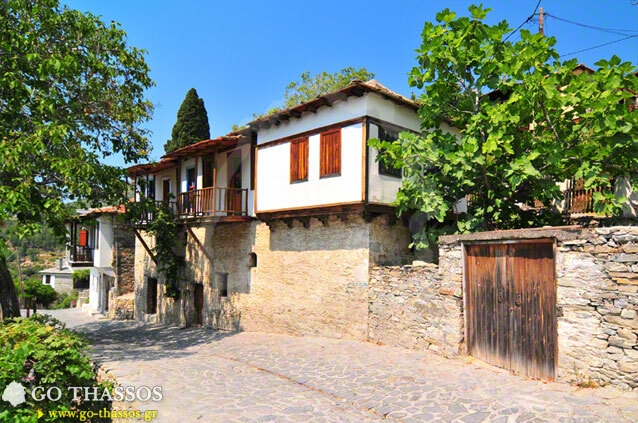 It is the smaller of the two villages that have taken their name from the Latin words casa = house, and vitus = wine. The village thus became 'the house of wine' - and for good reason. 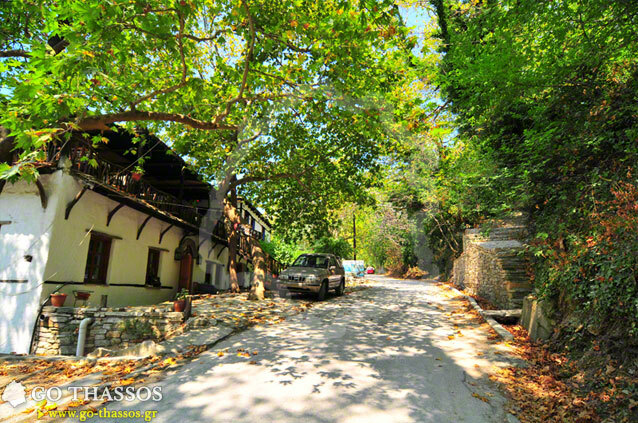 Quaint brick houses, perched on the hill sides, slowly emerge through the dense green of lush vegetation that the many trees and shrubs create: cypress, hollies and natural mastic trees. All around, one finds picturesque and elegant restaurants offering all kinds of local traditional delicacies and contemporary accommodation, offering high quality hospitality yet still in harmony with the idyllic environment. Continuing the tour of the mountain villages, one can effortlessly go on foot to the next village, Megalo Kazaviti (Large Kazaviti), since the distance between the two villages is only half a kilometre. On the left, one finds a replica of an ancient Greek theatre, built out of local stone, nestled in a hollow that can provide seating for about 300 joyous spectators. During the summer months, the villages present music, theatre and dance events. 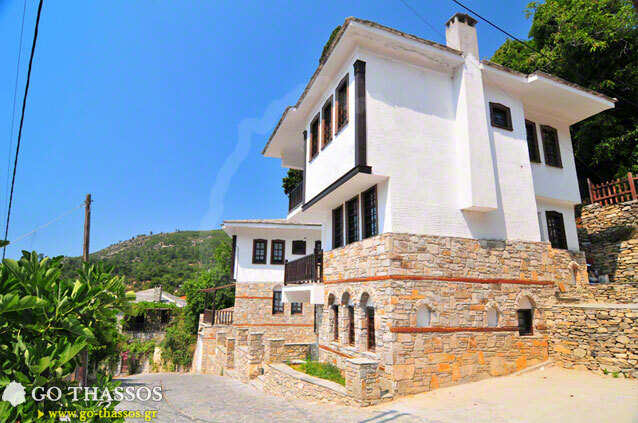 On the 10th of February and in commemoration of St. George, and also on Easter, visitors have the opportunity to find and join in on an authentic folk festival, with religious celebrations in the villages’ picturesque chapel. Megalo Kazaviti - the second and larger village - follows the same style of architecture as its smaller neighbour. 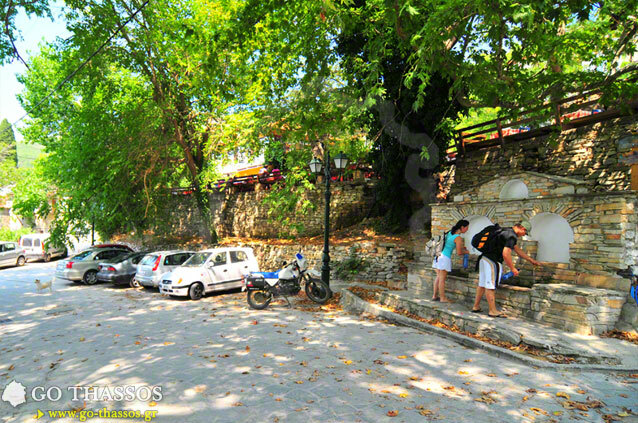 In the village square, which one enters at the end of the climb, an ancient plane tree, huge and imposing, spreads its branches and shades the whole area, offering coolness and protection, since the sun's rays have difficulty passing through its thick leaves and branches. 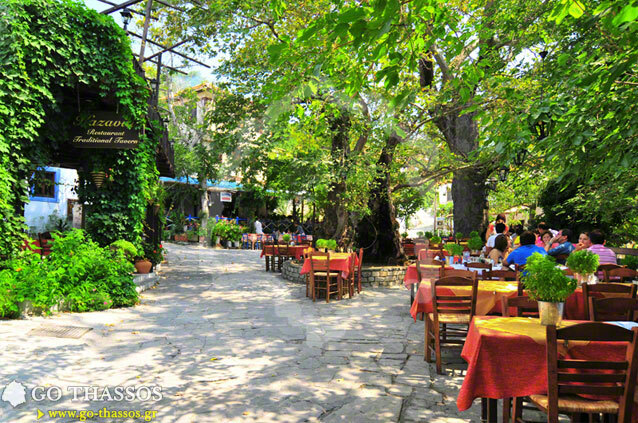 Underneath this tree one will find just two of the mountain villages’ many traditional tavernas, serving delicious meats and home-made recipes, complimented with the very best red wine, locally-made, that Thassos has to offer. 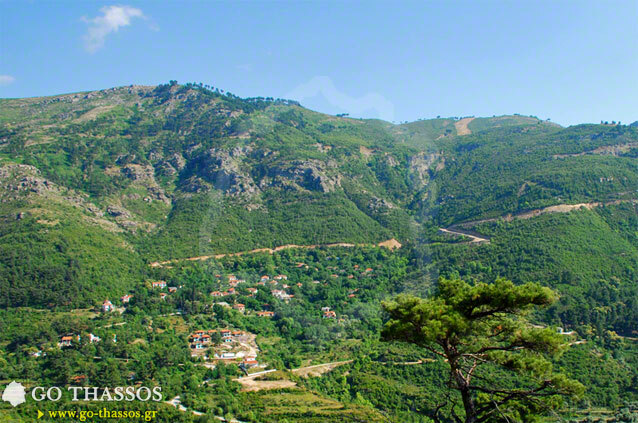 These mountain villages offer visitors easy access to the natural environment as dense forest surrounds the perimeter of both villages. Local naturalist clubs have organised tours and walks along the numerous trails that lead to the surrounding forests and which provide a safe and informative way for every visitor to come into direct contact with the local flora and fauna and the unspoiled natural environment. 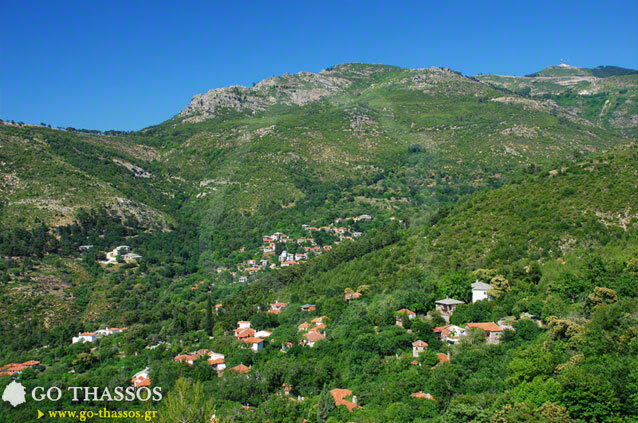 A true delight for nature lovers, walkers, hikers, and the average tourist as well. 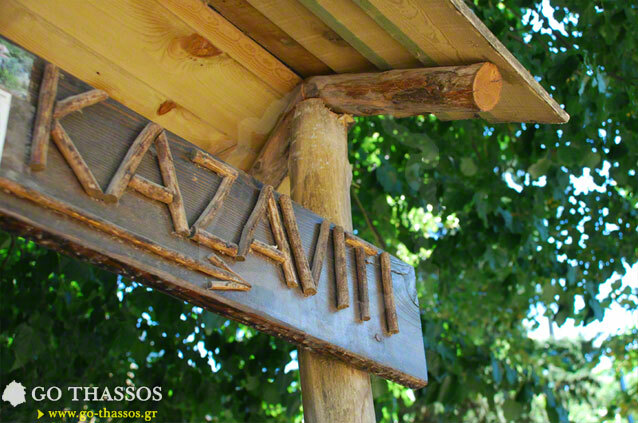 Visiting Kazaviti during a holiday on Thassos is like eating the icing on the cake. So don't forget to have your fill of the delicious icing because it's a truly awe-inspiring experience!